for a seamlessly connected field services operation. Oil price volatility has heavily impacted oil and gas companies. Oil companies now face a choice of consolidation or increasing efficiency. Efficiency and oilfield automation can assist in an operator's success. FieldEquip offers oil and gas resource management software and services to make any operator more competitive in today’s market. FieldEquip's oilfield service software platform uses today’s leading advancements in technology to deliver a product that will make any operator more competitive and efficient. 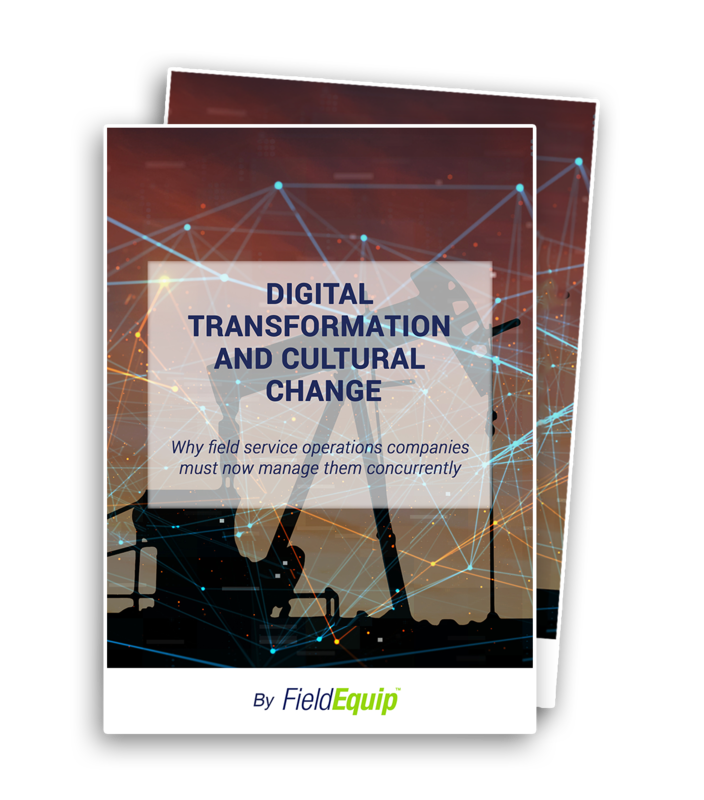 FieldEquip’s oil and gas resource management software offers full stack solutions through Internet of Things (IoT) and Amazon Web Services (AWS) data collection and cloud services. The powerful platform reduces operational costs employing IoT data collection and prescriptive analytics to provide site and asset management. What to do When Your Customer is Digitalizing? If there is one constant in energy markets, it is change. Prices shift up or down and companies adapt.